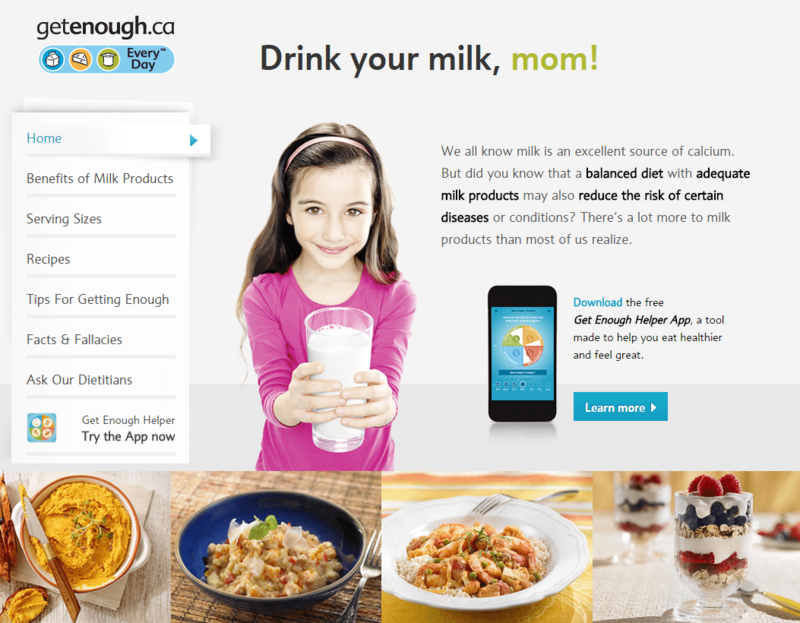 A comprehensive website focused on encouraging Canadians to consume the recommended amount of dairy products per day. It includes information on serving sizes, myths & realities, tips to getting enough dairy products through the day, and tools like recipe ideas and videos. You can also download their Get Enough Helper App, to track your portions servings of all 4 food groups from your mobile device!